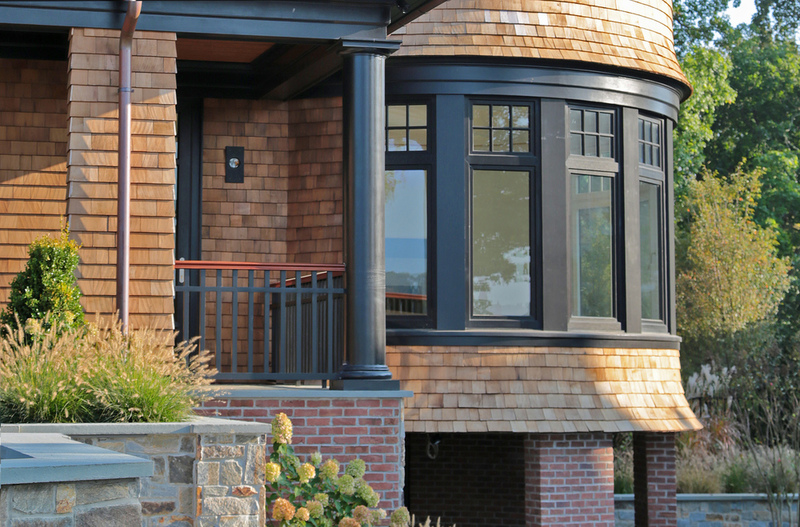 Custom Shingles’ Cedar shingles can be steam-bent across the grain to form a convex or concave curve. 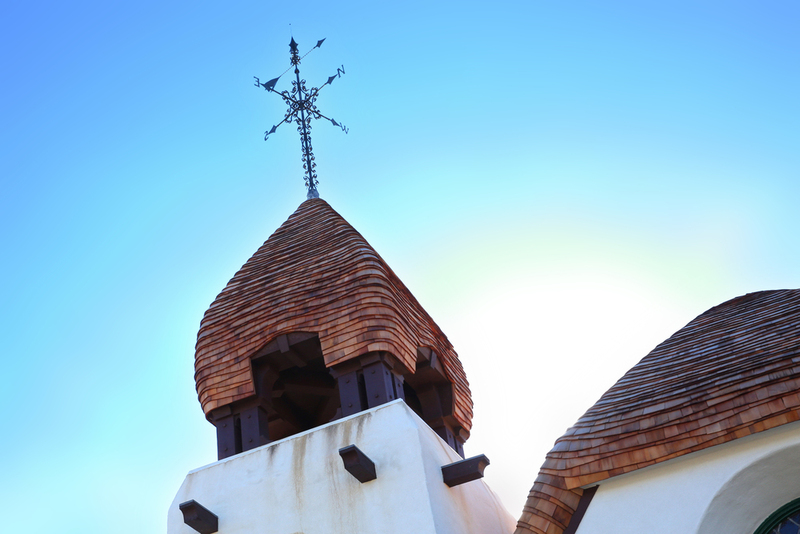 This allows them to be used not only in curved eaves, but also in architectural features such as bell towers, flared wall edges, onion roofs and wall arches. 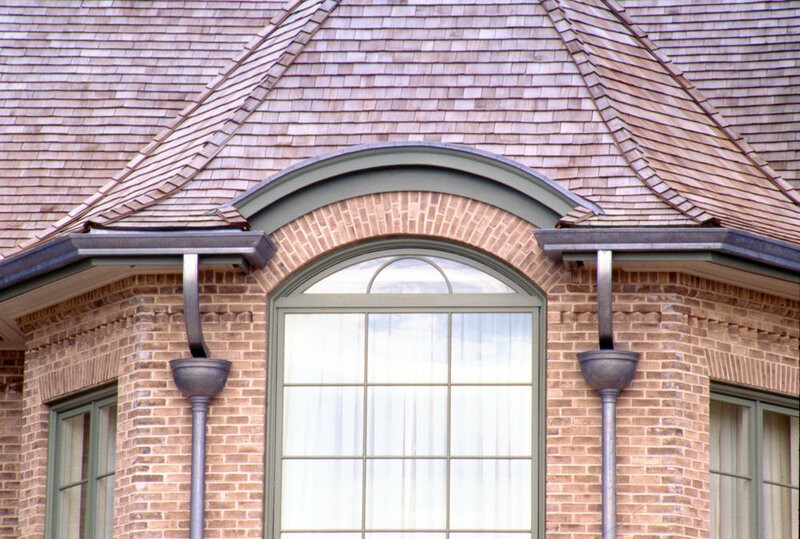 Subtle bending creates a natural swale effect that gives your roof a unique appearance, the work of a true craftsman, and a desired characteristic of Tudor Revival and English cottage homes. 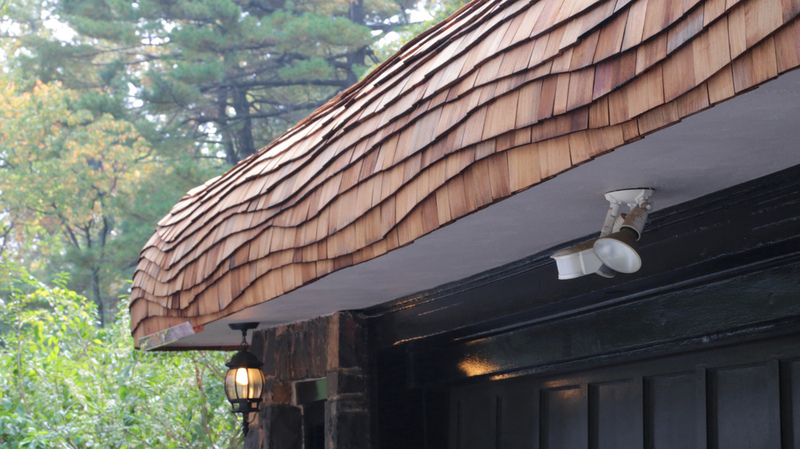 Eaves are one of the prominent edges of any Cedar roof. 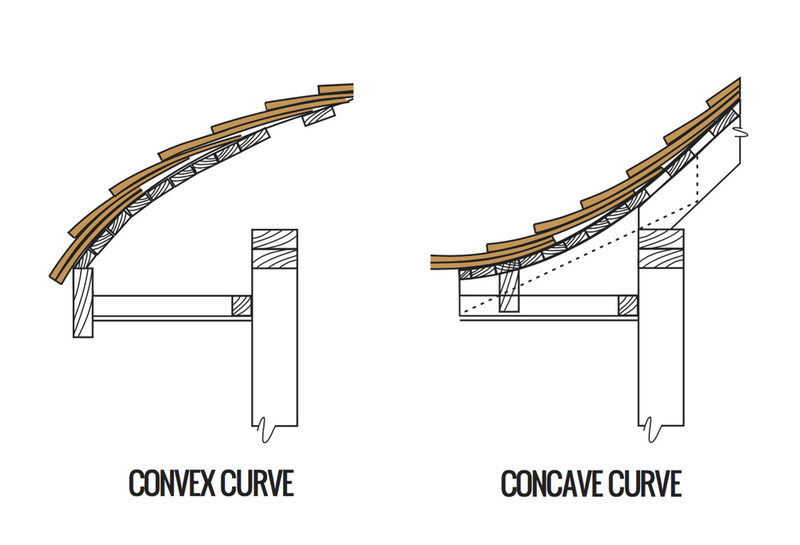 Curved eaves create instant appeal, using flowing lines to direct the eye upward. For more than three decades, Custom Shingles has been an innovator in Cedar roofing, with industry-leading expertise and manufacturing capabilities. Let us match you with the right roofing product for your upcoming job. 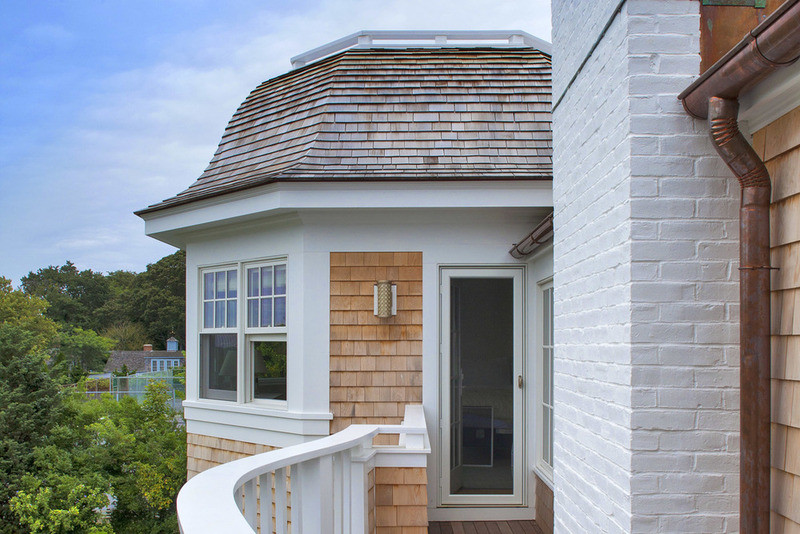 Custom Shingles offers curved shingles and shakes in Western Red Cedar, Alaskan Yellow Cedar, Eastern White Cedar, Teak and Wallaba, as well as synthetic composites for applications in which the use of non-wood shingles is mandated. Any of our products can be steamed and bent to a ratio of your choice, or shaped and cut to meet specific design requirements. We can also deliver shingles pre-stained in a variety of colors, or treated with chromated copper arsenate (CCA) and other materials to improve resistance to fire and mildew. The Chapel of Roses in San Jose. This project, a restoration of a church designed in the 1920s by noted architect Francis Harvey Slocombe, sought to recreate the original curved eaves and other Tudor-style features. The South Orange, NJ “Mushroom House.” Another 1920s restoration, work on the Mushroom House involved steam-bending Cedar shingles over spaced sheathing, creating both delicate wave coursings and dramatic curved eaves. The MacNider Art Museum. A local institution in Mason City, Iowa, the MacNider Art Museum contacted us for a new cottage roof installation in the fall of 2012. Working from laminated photos of the original roof planes, we were able to create a design that honored the property’s unique character. These are just a few examples of the work we’ve done for clients around the globe. We work closely with homeowners, builders, architects and more, tailoring our service to meet your specific needs. Whether we’re supplying pre-shaped Cedar shingles or providing more hands-on assistance throughout the design and installation processes, we will do whatever we can to ensure your project gets realized in a manner that’s consistent with your original vision. To request a quote, or to place an order for shingles, shakes or other products, please contact the Custom Shingles office today using the form on this page.